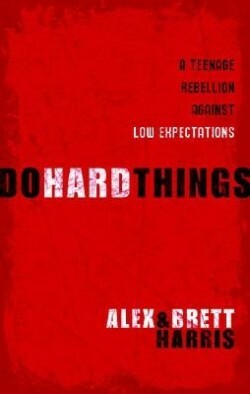 Alex and Brett Harris founded TheRebelution.com in August 2005 and today are among the most widely read writers for young adults on the web. 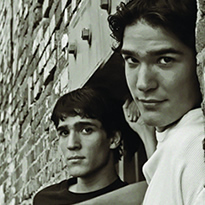 The twins are frequent contributors to the webzine Boundless, serve as the main speakers for the Rebelution Tour conferences, and have been featured nationally on MSNBC, CNN, NPR, and The New York Times, as well as in publications like WORLD magazine, Breakaway, and Ignite Your Faith. Sons of homeschool pioneers Gregg and Sono Harris and younger brothers of best-selling author Joshua Harris (I Kissed Dating Goodbye), Alex and Brett are currently freshmen at Patrick Henry College in Virginia.